Reach your goals. The persolog Self-Leadership Model will help you to activate and strengthen your mental potential and focus on moving towards your goals. › Lead. Recognize your personal self-leadership skills. › Self. Recognize your potential for development. › Confidently. Lead in self-responsibility and with self-initiative. Whether at work or in private life: differences between external and personal expectations create tension within us. Learn how to overcome these discrepancies. Break through unconscious self-imposed limitations and gain more flexibility, willpower and self-motivation to increase your personal performance. 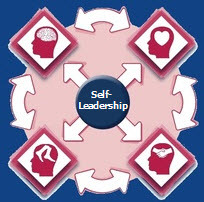 The persolog Self-Leadership Model has a focus on striving for authenticity which includes cognitive, emotional, behavioral and mental skills. The persolog Self-Leadership Model was developed in cooperation with Prof. Dr. Günter F. Müller of the University Koblenz-Landau, Germany. It is based on concepts of social, work, industrial and organizational psychology. Embrace the focused methods of the persolog Self-Leadership Model and learn how to integrate it into your own concepts. For certifications in English, please contact us!